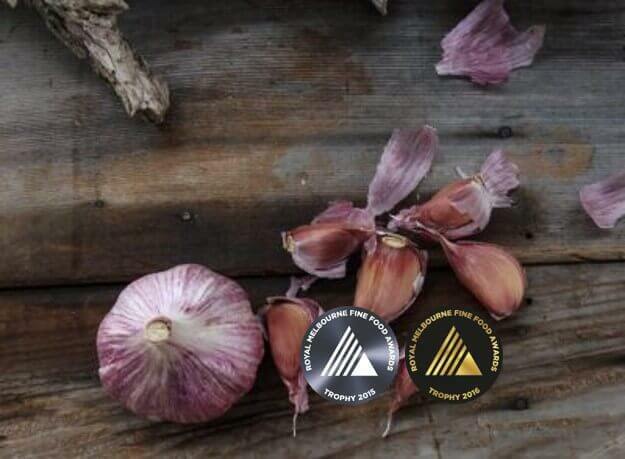 Champion Trophy Award Winner in 2015 and 2016 Royal Fine Food Awards Incredibly beautiful standard purple stripe, with vivid purple skins and large, easy to peel cloves. Breathtaking to watch it grow and to harvest. 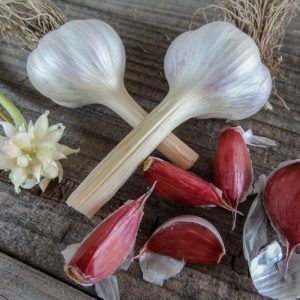 Must remove scapes when first emerge to increase bulb size and don’t worry when it only grows 2 leaves before winter dormancy! 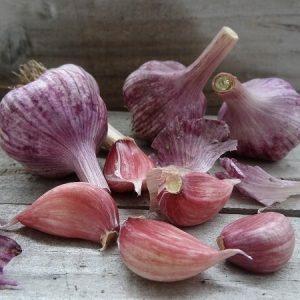 Flavour – Sweet, garlicky with just a little green forest flavour. Best Roaster.